Everyone wants to produce outstanding work in their lives, unfortunately, majority of them are doing just ordinarily. 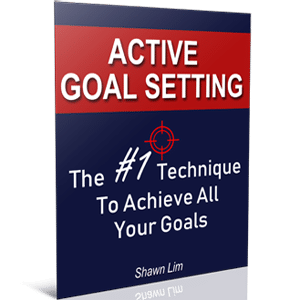 Do you want to be extraordinary and build amazing success in life? Or do you just want to live an ordinary life and be normal like most people? There’s no right or wrong here. If your answer is that you want to be successful and produce great work, this will be the right place for you. I strongly recommend you to follow through and read this article till the end. After reading the book, Good To Great from Jim Collins, I wanted to share with you what the author called ‘hedgehog concept’ that serve as the basic principle for creating amazing results in life. This hedgehog concept consists of 3 principles. The great work that you do must bound within these 3 principles. If your work is not in sync with these principles, probably you are facing a hard time producing great work. I know you have heard about this a gazillion times. You must be passionate with what you do. This is true, but only to a certain extend. Blindly following your passion is not going to work. Let me give you an example, if your passion is basketball but you’re short, do you think you can still make it to the NBA? Maybe yes, but the probability will be extremely low. You will be against a big odd. It is just like a blind man whose passion is flying a plane. Can a blind person become a pilot? I don’t know, but from the way I look at it, it is near to impossible. Therefore, we need to understand our passion and our work. You can’t just blindly follow your passion. Sometimes your passion cannot be monetized. Meaning there’s no market demand for what you love doing. You have to balance your passion with your abilities. Determine if you have a heart towards something and have the ability to do it as well. If you love to lead and are able to make people follow you naturally, you may finish a graduate diploma in project management and pursue a career as a project manager. Sometimes you don’t need to know your passion, because you can develop them. If you don’t like what you do right now, think twice. Can you develop the passion in doing it? So how do you develop your passion? Simple, by digging deeper into the subject. Immerse yourself deeper with your work and you will eventually dig out the passion. Let me ask you this, do you love badminton? If you don’t love badminton, there’s a high chance that you don’t know much about it. You may not know who the world number one ranking player is; you may not know how to play, how the score system functions, etc. In the same time, if you ask someone who is passionate about badminton, chances are high that he or she knows everything about the sport. Why? Is it because he loves badminton that he learns a lot about the sport? Or could it be the other way round? Meaning to say, it is that person who decides to learn about the badminton that makes him passionate about the sport? Did you get that now? You can develop passion by learning about the subject and digging deeper into it. Say for example if you have no passion with tennis. You don’t know a thing about tennis. So what do you do then? You study it. You read magazines about tennis. You learn how to play. You check out the perfect racket and you study top tennis players. Guess what? You will eventually dig out your passion with tennis. Of course, sometimes no matter how hard you tried, you will never fall in love in the work you want to be passionate in. You will just have to find a new angle, or admit that it is not your passion then. Now you understand that passion can be developed and it is important to be passionate in your work because it is one of the key principles to creating great work. Like what I have mentioned a little in the principle above, your passion must be able to generate profit for you. We need to be realistic at times. Do you consider yourself successful if you’re broke or deeply in debt? In my opinion, success covers your financial status. You may not agree with this, but allow me to explain. I used to think that being successful has nothing to do with money, but I guess I’m wrong. Why can’t I choose to have both? Why can’t I have the success by doing something I love and in the same time, making money from it? I know that some people will say that a teacher is successful if he spends his time to diligently teach his students, regardless of whether he is rich or not. This is true, but don’t you think that it is even better if the teacher can diligently teach his students, giving his best to share his knowledge, and in the same time making a living from it? I choose to have both, the passion to do what I do, and in the same time, making money from it. Hence, make sure you’re working on something that has demand in the market. When there’s demand, you can actually monetize it and I believe this will motivate you to do even better. Will you sell ice to Eskimos? If you’re selling plain ice to the Eskimos, there’s no chance you can be successful, no matter how passionate you are. You have to find a way to monetize your passion. Probably, you can turn your passion into sculpting the ice and then sell the Eskimos some ice sculptures. That way, you can reach your financial success with your passion. This principle is explained in Good To Great with another term called ‘economic engine’. Your passion must be able to generate sustainable profit and create cash flow so that you can maintain to do what you love. Great work must be something that can ‘wow’ the audience and in the same time, generate you the profit to maintain your lifestyle. 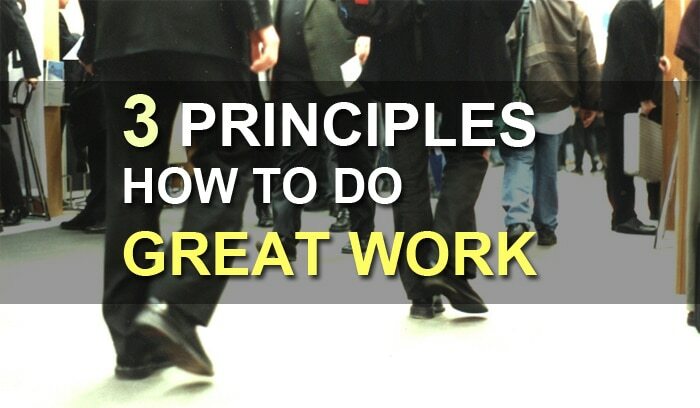 Finally, the third principle is that in order to produce great work, you must be able to be great at doing it. Sometimes you want to be great in something, but you just don’t have the talent and skill for it. In other words, you are not naturally good at it, thus it makes it super difficult to create great work there. Some people are active. They are good in sports, but some people don’t. Some people love to go to the museum and they love to learn about history and geography. On the other hand, some people are good in mathematics and science, but they just hate history and they have no idea about geography. Why is this so? We are all naturally talented with something. There’s something that we can be great in and there’s something that we’re not good in, no matter how much effort we put in to learn it. Thus, you must choose to do something that you can be great at to create great results. If you’re not active and not good in sports, but your passion is in sports, then probably sports can only be your hobby. You see, we’re all talented in some areas in our lives, and we must make good use of these talents. If you’re a fish, you will be great in swimming in the water. If you’re a monkey, your climbing skill will be outstanding. However, if you ask the fish to climb the tree, it will be something difficult or near to impossible for the fish. The same goes for the monkey, he just can’t swim like a fish. So find out where you can be great at. Discover your talent and know what areas that you can perform better and improve to become great. Now you understand about these 3 principles for the hedgehog concept. 3. Your work must be something you can be great in. 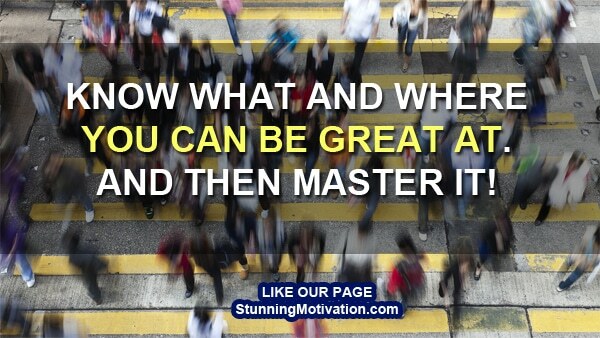 When you learn to master yourself, you will know what are the things that you can excel and be great in. And this is how successful people achieve amazing success in their lives. They align their work with these 3 principles and then magic will happen. You can be the same once you master yourself. Let me know what you think about the ideas in this article. Let me hear your opinion in the comment section below. Your thoughts are most welcome.